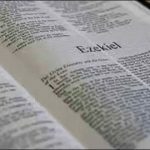 Today’s passage is taken from Ezekiel 31. You can read more in my Ezekiel Studies here and here. Here is a reading of Ezekiel 31. This tree was indeed so beautiful that the other trees envied it, even the trees in the garden of Eden, the ones in the garden of God. It grew to be proud, full of itself, because of all it’s grandeur, so God himself, the one who grew the tree gave it over into the hand of a mighty one from the nations. This land will deal with it as it’s wickedness deserves. Pride has caused it to be cast out. You know.. I read those words and I think… God hates those who are full of themselves, those who forget WHOSE they are. Seriously. 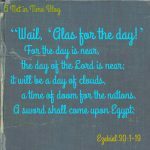 How often does God condemn the pride of men and nations? This cedar of Lebanon which is Assyria… so proud of her fame,fortune, good looks… and GOD HATES IT. He really does. He sees it as wickedness and so he allows her to be cut down. 12 Foreigners, the most ruthless of nations, have cut it down and left it. On the mountains and in all the valleys its branches have fallen, and its boughs have been broken in all the ravines of the land, and all the peoples of the earth have gone away from its shadow and left it. 13 On its fallen trunk dwell all the birds of the heavens, and on its branches are all the beasts of the field. 14 All this is in order that no trees by the waters may grow to towering height or set their tops among the clouds, and that no trees that drink water may reach up to them in height. For they are all given over to death, to the world below, among the children of man, with those who go down to the pit. I read how Assyria is to be cut down and thrown into the pit and I think OH GOD.. let me not be a proud person. Looking only to my own achievements. Let me give the praise to God and show rightly that everything I am is his own doing. Let me NOT be used as an example to others having them to be clothed in doom and mourning. Look what happens to the church today when one of our “lights” is brought down. How it makes the whole church look bad and people mourn the loss. I am not one of those bright lights that people look…(to the larger Christian community). But I still don’t want to be caught up for pride. And in God’s anger at it cause myself to be disciplined and others saddened because of it. 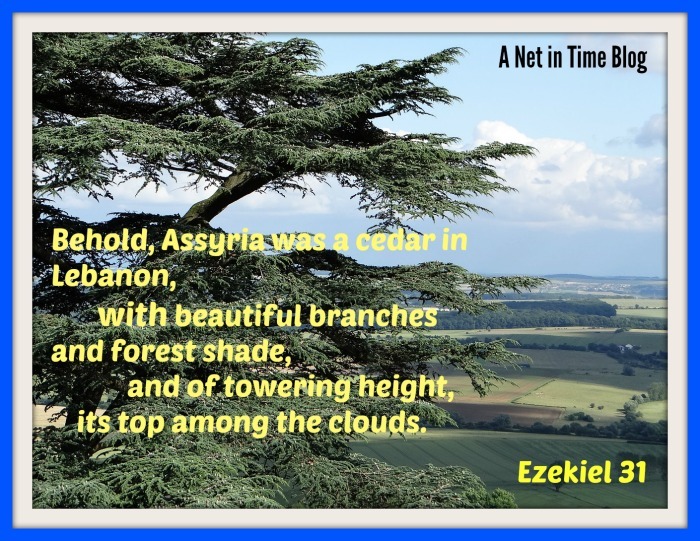 So just as Egypt is challenged by the fall of Assyria….so I am challenged. Are you challenged as well? What do these words speak to your heart? How do we bear one another's burdens?